Although many of the practical and intellectual traditions that make up modern science date back centuries, the category of “science” itself is a relative novelty. In the early eighteenth century, the modern German word that would later mean “science,” naturwissenschaft, was not even included in dictionaries. By 1850, however, the term was in use everywhere. Acolytes of Nature follows the emergence of this important new category within German-speaking Europe, tracing its rise from an insignificant eighteenth-century neologism to a defining rallying cry of modern German culture. Today’s notion of a unified natural science has been deemed an invention of the mid-nineteenth century. Yet what Denise Phillips reveals here is that the idea of naturwissenschaft acquired a prominent place in German public life several decades earlier. 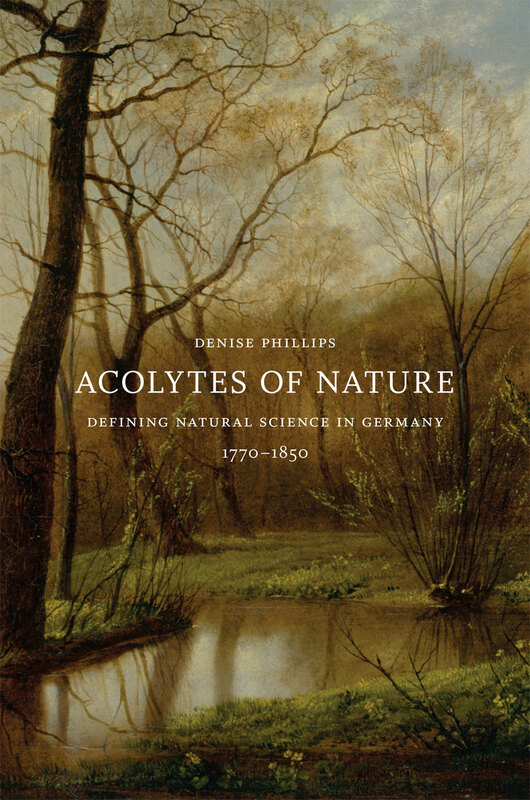 Phillips uncovers the evolving outlines of the category of natural science and examines why Germans of varied social station and intellectual commitments came to find this label useful. An expanding education system, an increasingly vibrant consumer culture and urban social life, the early stages of industrialization, and the emergence of a liberal political movement all fundamentally altered the world in which educated Germans lived, and also reshaped the way they classified knowledge. "Convincingly shows that the epistemological foundations of science were debated not only in academic ivory towers, but also in local and regional contexts with participants from a wide range of professional and social backgrounds."